For whatever purpose you use your summerhouse: A garden is always supposed to look nice and that’s one important reason why people love flowers and flowering plants in the garden. For many species though, it’s not just the sight that is so nice: Many species – wild or cultivated – are also edible and offer the opportunity to not only admire their beauty in the garden around the summerhouse but also use them to decorate meals, cook them or make salads out of them. If you are actively gardening the formerly so strict borders between the vegetable garden, the orchard and the ornamental garden become slurred. You will find edible plants in each compartment, edible flowers like marigold, thyme or lavender will be cultivated in mixed cultures with collards and tomatoes to keep pests away and the decorative part of the garden with the summerhouse in the middle will become as interesting a part to gather some ingredients for the salad in as the kitchen garden already is. Of course, we would like our summerhouse to look good in our garden. Do you know lilac? The large scrub would fit nicely next to any summerhouse and decorate it with large white, blue, pink or lilac flowers. Which are edible and even delicious to eat. If you plan to plant a lilac bush next to your summerhouse, take care to plan in enough space for it though. It can be cut back every year after the flowering, but without cutting back, it can become quite large and gain a height of over four metres. Once you understood how many wild and cultivated flowers are edible and add their individual flavour to your dishes, you will probably sooner or later come up with a completely new concept of gardening, in which traditional crop plants and traditional flowers form mixed cultures that look good and complement each other. If you have a clematis on a trellis at the summerhouse or some large cherry tomatoes with bright red and delicious fruits under a makeshift roof: Both can be very beautiful. Or have you ever seen a bright green kale with its leafs with shiny drops of water around the rims illuminated by the morning sun? Can any old purely ornamental plant be more beautiful? We will show you some species of very beautiful flowers that are edible and can be cultivated or just grow wild in the garden, if you are lucky. You may already have decorated your summerhouse with some cultivated flowers but maybe you did not know that they are edible. In order to be able to really know how they taste and be able to compose them into your dishes, we would recommend to just pick whatever flower of the following species you see and try it on the spot on your walk through the garden to the summerhouse. All flowers are edible in their raw form, none of them is poisonous or needs cooking. 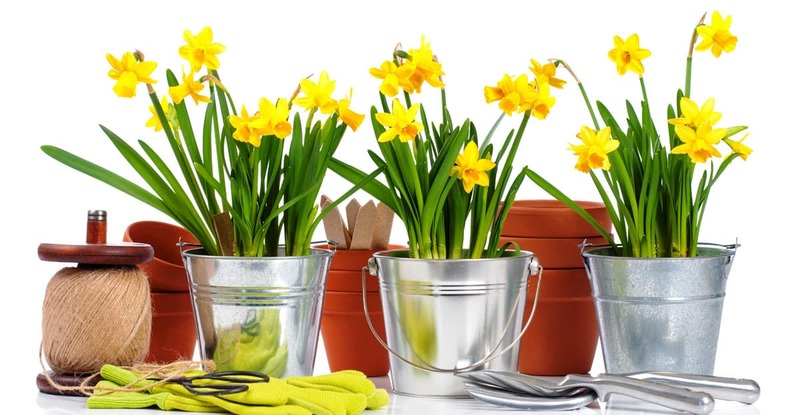 If you start in spring you might try flowers of violets, primroses, magnolia or forget-me-nots. Later you might try asters, phlox, begonias, day lily or flower petals of roses. Marigold and lilac were mentioned earlier as were herbs, like lavender, marjoram, oregano, tarragon or rosemary. Chrysanthemum and dahlias may formerly have had the mere purpose to set a nice, romantic backdrop to your summerhouse during late summer and fall. Once you will have incorporated their flowers into your cooking skills, these plants will take on a whole new meaning for you. Gardening will be more of a holistic thing to do, nature becomes your friend, no hour of gardening will go by without you discovering something delicious in return for your efforts. Of the many edible species of wild herbs, probably only few will grow around your summerhouse even if you have left a corner of your garden for nature out of conservational reasons. These natural areas form important refuges for natural plant species, insects and birds. However, the number of species of edible flowers will most certainly be limited unless you have dedicated an unfertilized area with meagre soil to nature. Plant diversity on these soils is much higher than on well fertilized soils where you will mainly find daisies and dandelions which have not only edible flowers but also edible leaves. Sorrel is sometimes wild and sometimes cultivated and the flowers can be eaten. Goutweed was a dreaded weed before it became known that it is edible. A frugal plant with delicious, vitamin-rich flowers and leaves that even grows in the shade, covers the soil and prevents herbs from growing. You can also cultivate wild flowers on more fertile ground around the summerhouse, just like you do the other crops in the vegetable garden, however, they will need some care and help to make their stand against other herbs that grow better on fertile soil. You could also cultivate a kind of meagre dry meadow with a high diversity and probably some edible wild flowers growing on their own if you take away the upper layer of fertile soil. You could use the soil to enhance your vegetable garden or use it for raised beds. Another possibility would be to constantly remove plant material from there for mulching the crops that need fertile soil like tomatoes, potatoes, collards, or cucumber until the area gets more and more meagre. Some bushes from the sidelines of the natural garden possess edible flowers like elderflower and hawthorn. Hawthorn flowers have a nutty taste. Another genus of bushes with the scientific name of Amelanchier is known by many different names locally: shadbush, shadwood, shadblow, serviceberry, sarvisberry, sarvis, juneberry, saskatoon, sugarplum, wild-plum, chuckley pear. The plant genus has about 20 different species; they all belong to the rose family where so many fruit trees are also represented, and they all have delicious and beautiful flowers and will surely look good next to your summerhouse. Hedge tumblemustard, hedge mustard, hedgeweed or wild mustard are all different common names for the same plant (Sisymbrium officinale) with edible flowers tasting a bit like mustard. If you happen to have a proud spruce near your summerhouse, you can eat the flower buds as well as the young light-green tips. Other wild species with edible flowers are charlock, amaranth, St.John’s wort, garlic mustard, saltbush or orache. Try a pizza with cow parsnip flowers, also known as Indian celery! Lady’s mantle-flowers have a taste like a mild kohlrabi. Keep a salad bowl at the summerhouse because after the walk through the garden, you might want to turn your harvest into a tasty, healthy and vitamin-rich salad with only very fresh organic ingredients. What to do with the lush flower harvests around the summerhouse? If you need an eye catcher for your next garden party at the summerhouse, why not embed some beautiful flowers into ice cubes and serve them with drinks to add their specific flavour? To make ice cubes, you freeze the flowers in a shallow bit of water first in a container with a fitting size. The second step is filling the water up until the flower is embedded in the water and later in the ice. Flowers also look nice and add flavour to oils and herb vinegars. Try them on your bread or toast, and they can, of course, decorate any meal or salad, and can even be cooked, or you can make soups out of them. Candied, they make delicious sweets with their different flavours. For short term conservation, just store them in a vase. Just put a regular bouquet of flowers on the table of the summerhouse to keep them fresh for a day or two. For conservation, you can dry them hanging in bunches under the roof of the summerhouse or put them on dryer fabric. You might even have a drying cabinet to be independent of the weather.